Ka'Routh (KA rooth) is the ruler of a small plague planet located just outside of the Eye of Terror, somewhere within close proximity to the Cadian Gate, although the exact location is unknown. Ka'Routh is a Great Unclean One modified using the 'Heroes of Ordo Fraternitas' Character Creation Rules. Ka'routh is an ancient greater daemon whose background is lost in time. 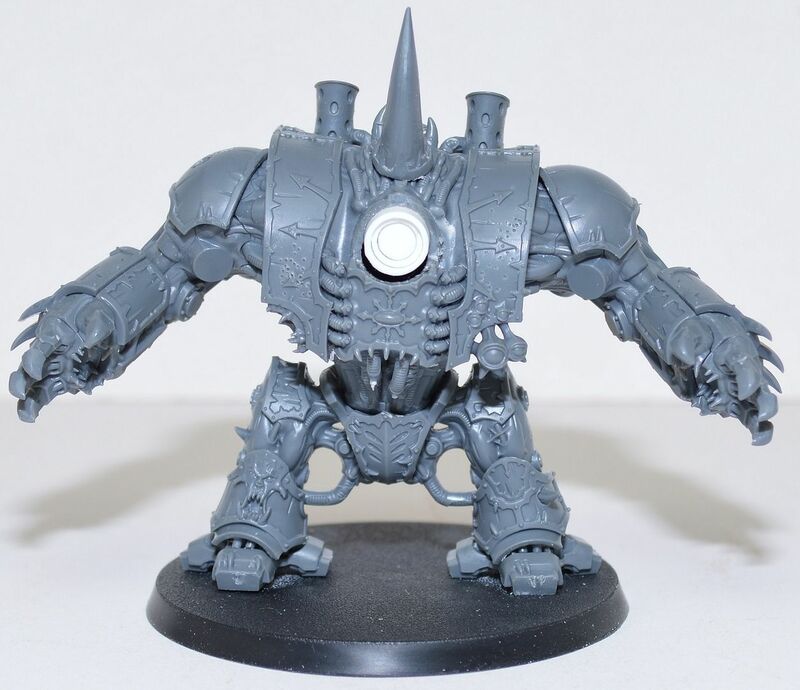 It is said that he has been blessed by Father Nurgle himself because of his unique ability to withstand damage that will kill his peers. It is believed that he claimed his plague world at the time when the Eye of Terror itself was formed. It is further believed that Ka'Routh's power comes from the ruins of a place on his world known as the Temple of Pestilence. It is built over a weak spot in the barrier between the Warp and Realspace. Unstoppable: Ka'routh is legendary, even among the daemons of Nurgle, for his ability to withstand or shrug off wounds that would kill his peers. Ka'routh has an extra wound (included in profile), a 3+ Invulnerable save, and he may always use the Feel No Pain universal rule against any wounds suffered, even when it would normally not be allowed.